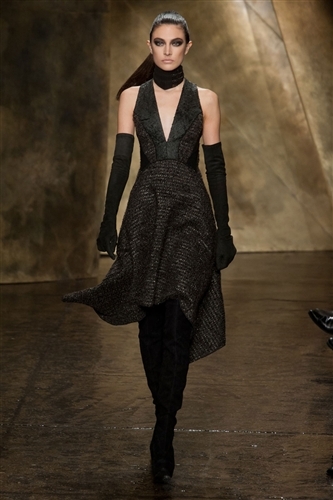 Donna Karan produced a sensual collection in New York – slightly more classic than her younger range shown the day prior. 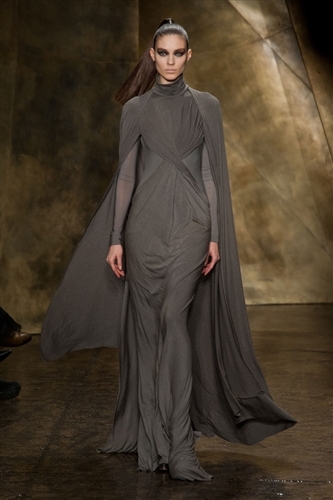 Fabric draped this way and that way creating different visual illusions as well as seductive capes covering the shoulders of her models. 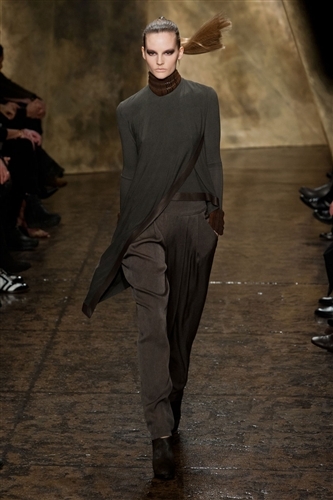 Slight visuals of skin brought about by the drapes created an additional romantic effect for this particular section. 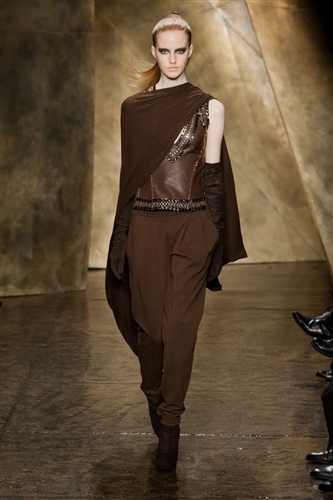 Dark browns and black dominated the catwalk with a hint of a camel to allow the eyes to adjust. 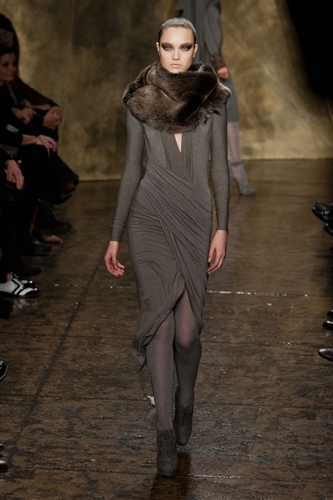 Dresses were created with fluidity in mind, hugging closely to the body in order to accentuate the womanly frame. 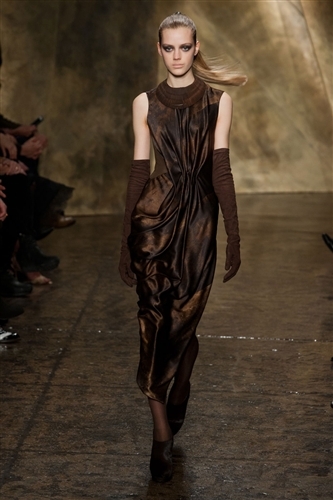 The draping dark chocolate coloured gown with elbow length gloves become almost good enough to eat. 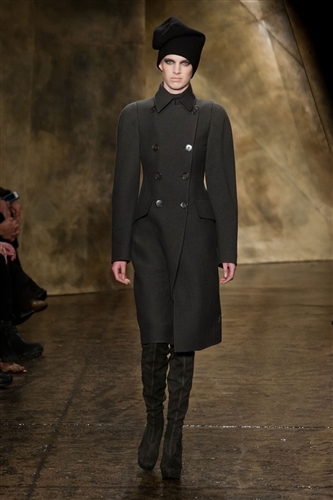 Texture variation became apparent in panelled dresses with a mix of leather and velvet pieces defining detail. 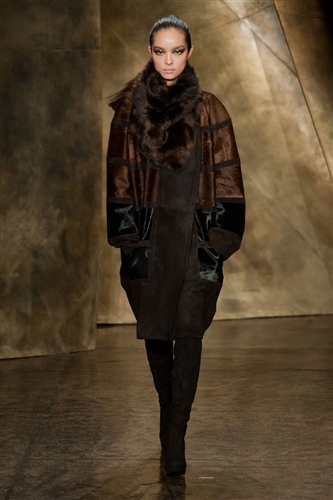 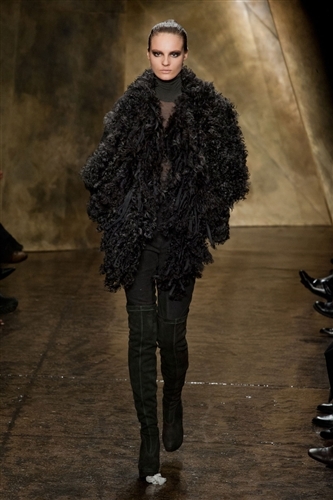 From jersey to fur and coats to capes, Donna Karan created a spectacle of many elements for fall.